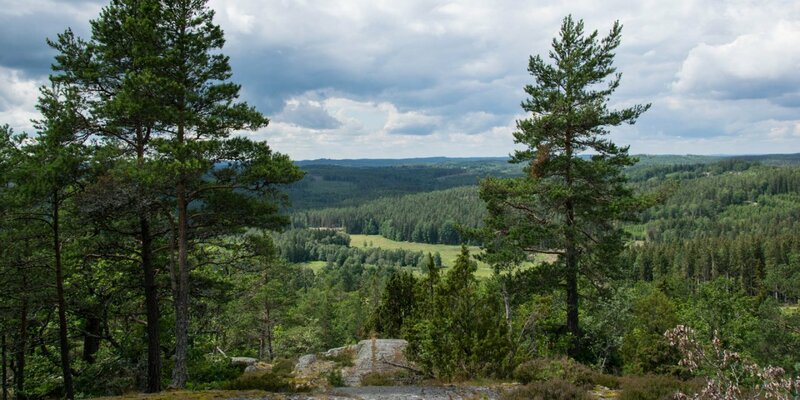 The varied nature reserve Knästorps Naturreservat, named after the abandoned village Knästorp, is located in a dense forest area near Hagelsrum, about 20 kilometers south of Hultsfred. 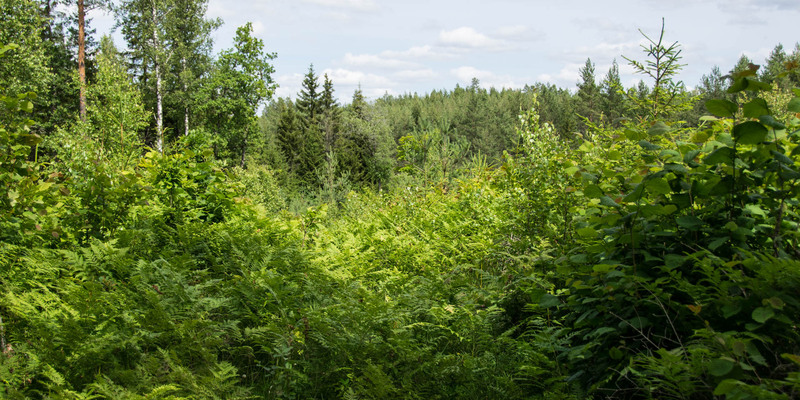 The nature reserve Knästorp consists of an interesting mixture of dense, jungle-like mixed forest, high-stemmed coniferous forest, a little oak forest, open glades and wetlands as well as the ruins of the abandoned village Knästorp from the 19th century. 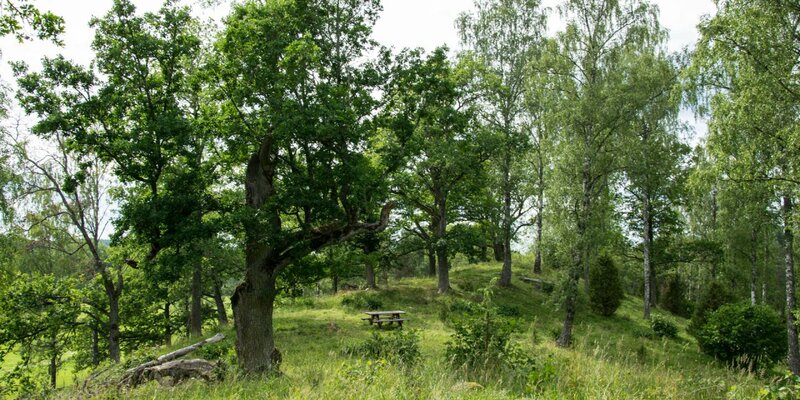 The ruins of the village are located on a hill in southwest direction about 600 meters to the parking space on Stockholmsvägen, but are not easy to find. They consist of the remains of foundations and cellars of several houses and outbuildings, as well as old boundary walls of piled stones and the typical heaps of collected stones on the former agricultural land. On the former land on the eastern slope of the village has settled a deciduous forest mainly consisting of oaks. On the trunks of the old trees grow a number of very rare lichens, such as the endangered tree lungwort (Lobaria pulmonaria) – evidence of intact, undisturbed forests. 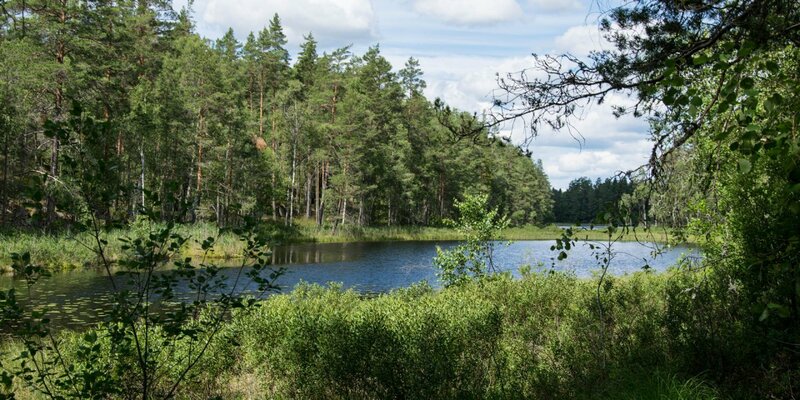 Of great importance for nature conservation is also the area in the western part of the nature reserve. There, the trunks of the old spruces are littered with the gray of the old wood rimmed lichen (Lecanactis abietina) and from the branches various other lichens hang down like beards. Soil and fallen trunks are covered with a variety of mosses and in the moss rugs grow interesting mushrooms such as the colorful coral fungi (Ramaria) that actually look like maritime corals. With a little luck and if you are silent, you may also see or hear the one or the other feathered inhabitants of the reserve, such as the spotted nutcracker (Nucifraga caryocatactes) or the black woodpecker (Dryocopus martius).